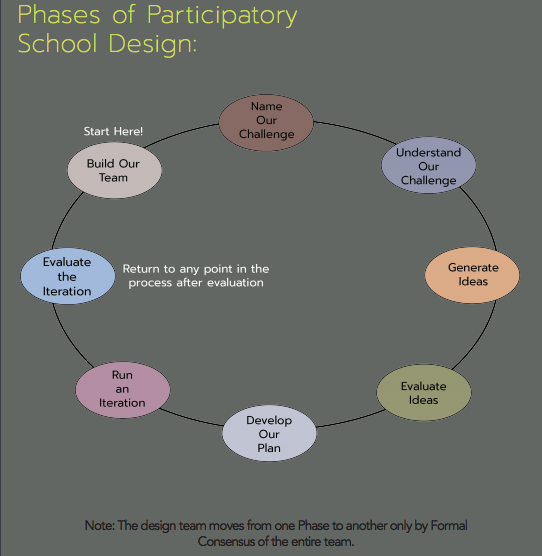 This workshop has three goals: to produce a “design essentials” document for a new school in deliberative collaboration with the participants of the workshop; for participants to learn the discrete needs and processes of school design, and how PD engages and amplifies the best practices of democratic school design; and how we as school designers might refine and revise our methodology in preparation for our first full-school design with youth. We welcome all interested participants who are willing to collaborate, deliberate, dialogue, and design with us. Youth, adults, learners, educators, researchers — any and all who are stakeholders in secondary education and design for democracy!